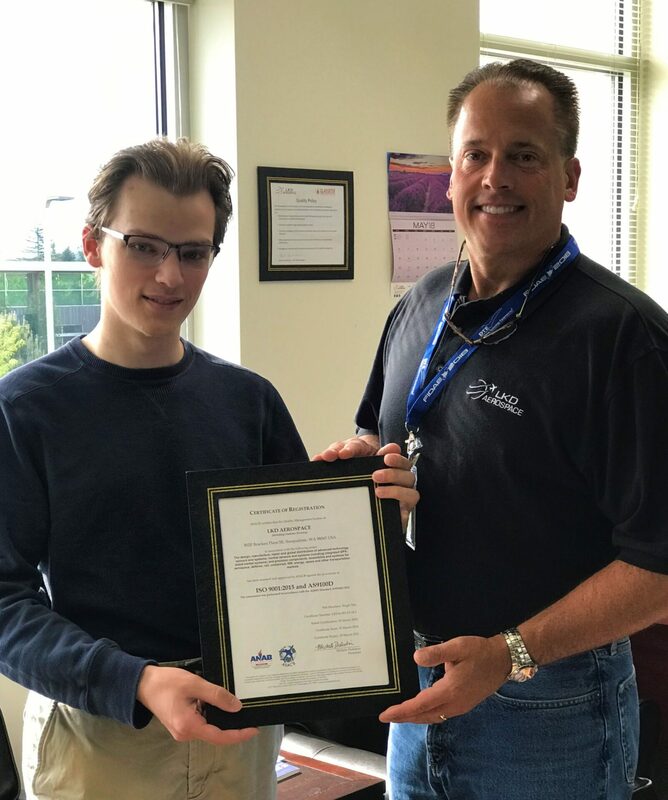 Mark Chamberlain, CEO of Gladiator Technologies, receives the AS9100D Certificate. well as internal audits to ensure understanding and compliance ahead of the third-party audit. transition to AS9100D was achieved without impact to our tight schedule,” stated Bishop.